Those halcyon days of the Emergency Interest Rate Policy, just like the waning days of summer, are finally coming to an end. While you are packing away your white wingtips and croquet set, you may also want to think about the consequences of the first interest rate hike on the housing market. You have probably heard on the financial networks that “interest rates are at all all-time low (true) and “higher rates won’t matter when the economy is strong” (hummm). You may remember back in 2013 when rates were rising and the same folks said an increase in rates would not matter because rates would still be so low. If you were paying attention, you may also remember my article from May 2013 that warned how the second hand of inflation could impact housing demand. While millions of homes were purchased in 2013/2014, sales numbers did not come close to expectations. Adjusting to population, sales are low for existing homes, even with 15%-20% higher than normal cash buyers in this economic cycle. New Homes sales have been soft and adjusting to population, are down 50% compared to 1963. In 2015 rates have ranged between 3.625% and 4.125%, so we have not yet tested what higher rates of 4.125% to 4.5%, (as occurred during the peak of the Taper spike), would do to housing sales numbers. Reasonable growth in sales, year over year, for new and existing homes, with interest rates at 4.5% -5% during the spring months. Double digit growth in purchase applications in 2016. Fewer cash buyers and more mortgage buyers in the existing home market place. Now there is no guarantee that rates get to 4.5% – 5% next year which would mean a 10 year of 3% – 3.5% . However, considering we are going into year 8 of the economic cycle and we have regained all the jobs lost in the private sector during the Great Recession, with interest rates under 5%, I think those benchmarks above shouldn’t be much to ask for, if there is a true housing market recovery. If we can’t hit those basic metrics, at this stage of the economic cycle, homes are not affordable enough for strong demand growth. I expect the US to continue to be a “renting nation” until the years 2020-2024, when demographics will shift so that home purchasing will be more manageable for many households. What I mean by that is that we have a very large number of 12-29 year olds and an especially big subset of 21-15 year olds. These “kids” will need to rent, date, marry, form dual income households and perhaps have or plan to have children before they will ready to buy. There is light at the end of the renting nation tunnel but it is still some years away. I find the Census Population Clock website provides good insight to what to expect in the years to come. 1) The ratio of cash to mortgage buyers : Fewer cash buyer may mean less demand but it will be a sign of a healthier housing market if we return to a ratio of 10%cash/90% mortgage buyers and still grow from these low adjusted to population sales level. 2) Profit margins and median sales price for new homes: Lower profits mean builders are discounting prices to get more buyers or lower median sales price may mean builders are providing a better mix of homes instead of just the larger, luxury homes. These indicators may not bode well for builders but would be good for the housing market in general. Also, be mindful that every new housing cycle has had 2% lower mortgage interest rates and for this to happen in the next cycle we will need to see mortgage rates between 1.25% – 2.25%. I know it sounds crazy to say again, rates can go lower in the next economic cycle. The 34 year trend still sticks when there is no inflation in the system. The bottom line message is don’t get caught up in the scaremongering hype about an 0.25% interest rate rise. The U.S. has the best domestic economy in the world for a mature country and things are only getting better! At some point we will have a recession and another recovery cycle, but the next decade looks a lot better than these past 7 years coming off the great recession. 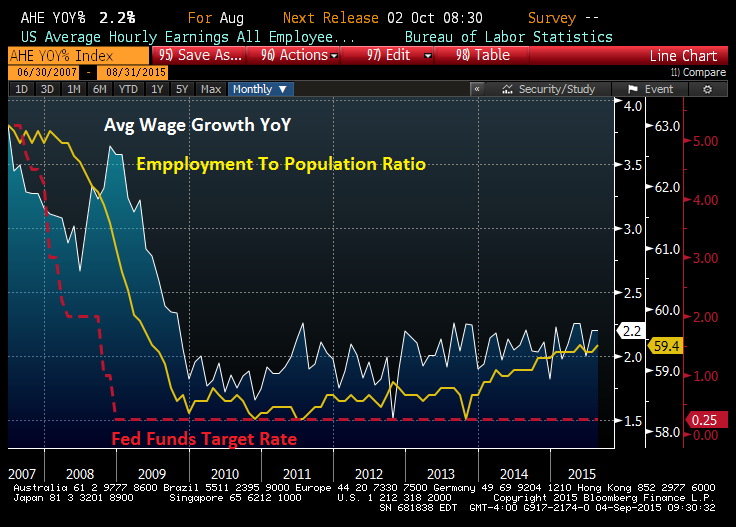 Posted in Uncategorized and tagged Federal Reserve, Home Prices, Housing, Logan Mohtashami, Mortgage Rates, New Home Sales, RateHike, Yellen. Bookmark the permalink. 1)How would your assertion that a ratio of 10% cash to 90% mortgage buyers make a “healthier housing market”? 2)How would your assertion that a “better mix of homes” bode well for the housing market? Historically that has always been the ratio which is shows that the economic cycle can create more mortgage buyers. For this entire cycle we have been Avg over 30% cash buyers a year up until this year where that metric has fallen to 25% and sales are growing due to more mortgage buyers. That is a positive sign. However, far from a normal economic cycle which shows the demand curve is really not that much better from the lows on the Great recession in terms of mortgage buyers. 2. This is for the new home sales market which is only 10% of all sales. However, in this cycle majority of homes sold for the new home market has been bigger homes meaning it’s more of the wealthy home buyer market. This would be a bullish things for housing but a issue for the builders going out, not so much this year.